Gold prices rose by Rs 175 to Rs 26,857 per 10 gram in futures trade after speculators widened positions amid a better trend overseas. Gold prices rose by Rs 175 to Rs 26,857 per 10 gram in futures trade after speculators widened positions amid a better trend overseas. 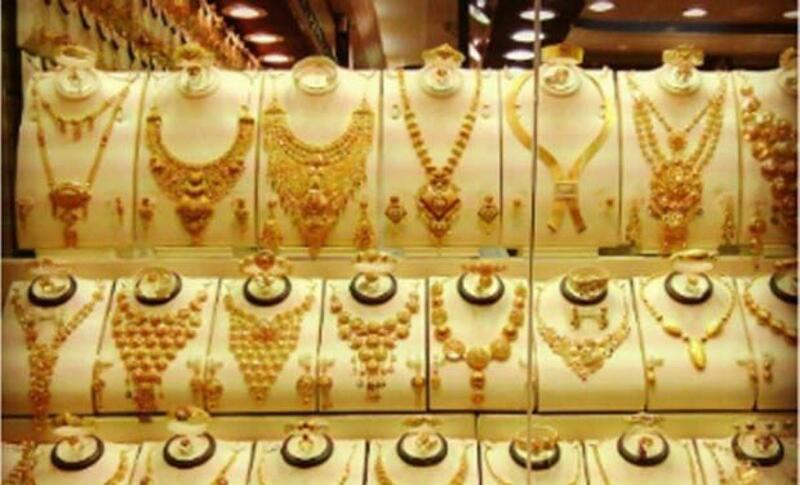 At the Multi Commodity Exchange, gold for delivery in October was up by Rs 175, or 0.66 per cent, to Rs 26,857 per 10 gram in business turnover of 1,363 lots. The metal for delivery in far-month December contracts moved up by Rs 165, or 0.61 per cent, to Rs 27,046 per 10 gm in a turnover of 42 lots. Analysts said the rise in gold prices at futures trade was mostly in line with a firming trend overseas after a factory gauge in China shrank to a three-year low, deepening concern about the slowdown in the world's second-biggest economy and boosting demand for the metal as a safe haven. Meanwhile, gold rose as much as 0.7 per cent to USD 1,142.79 an ounce in Singapore. Tracking rally in global market, silver prices spurted Rs 104 to Rs 34,685 per kg in futures trade on September 1, as participants created speculative position. Silver for delivery in September was trading higher by Rs 104, or 0.30 per cent at Rs 34,685 per kg in a business turnover of 215 lots at the Multi Commodity Exchange. Also, the white metal for delivery in far-month December gained Rs 88, or 0.25 per cent to Rs 35,421 per kg in 1,242 lots. In the international market, silver added 0.3 per cent to USD 14.67 an ounce in Singapore, rising for the fourth straight day. Analysts said a firming trend in global market after a factory gauge in China shrank to a three-year low, deepening concern about the slowdown in the world's second-biggest economy and boosting demand for the precious metals as a safe haven, mainly influenced silver futures here.